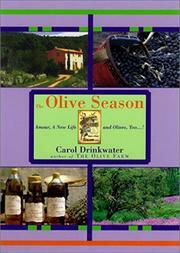 A fussy, lugubrious sequel to The Olive Farm (2001), with the actress author’s moods swinging madly from rapture to complaint to melancholy. The meandering, distracted course these ruminations will take is evident from the opening salvo recounting Drinkwater’s wedding on one of the tiny Cook Islands in the South Pacific. Once she gets back to her Provençal olive farm, the scene is all juniper and lavender and a baby on the way, with plenty of ripe prose: “The sun is rising into honeydew clouds that drift out of sight.” Then she moves on to the obligatory, endless fencing with the French bureaucracy (Drinkwater and her husband are trying to get regional certification of their olive grove) and the difficulty of getting laborers to either get on with their work or get the work done correctly. (“These apiarists are an irritatingly cranky and elusive breed.”) Drinkwater drops too many French words into the text only to translate them in the next breath (“Le figuier. The fig. Its botanical origins are uncertain but . . .”), giving it a clubfoot to go along with the anxious prose, which caroms off bee fossils, the origin of bamboo, dinner ingredients, and Napoleon's reputation. She conveys an impression of overactivity rather than attentiveness and doesn’t get a good fix on any of her subjects. A devastating miscarriage, coupled with the news that she will likely never be able to bear children, plays against the tedious backdrop of the television show Drinkwater is shooting at the time. While she grapples with her feelings, she also tackles the story of a diviner who comes to find water for their orchard expansion, perhaps the most focused episode here, and certainly the best. Flashing fruity, then penumbral, with little surety of itself.